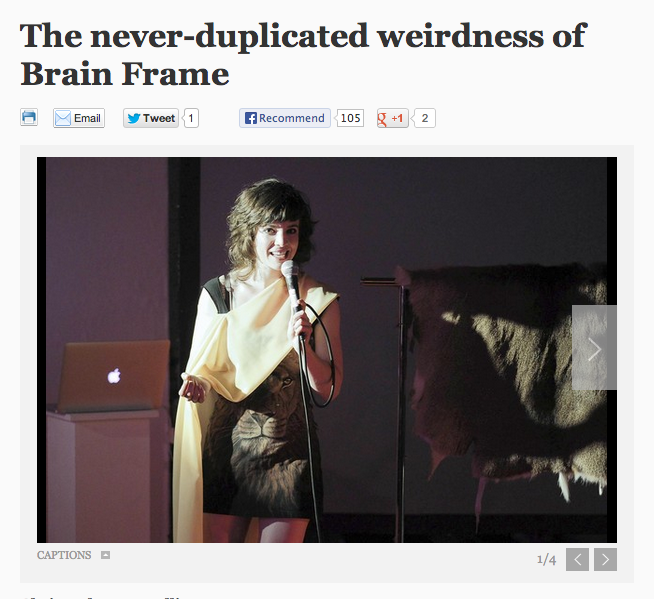 Last week, the Chicago Tribune published an article on the front page of the Arts & Entertainment section about Brain Frame. It's glowing, a bit dishy, and generously captures the experimental spirit and unique results of the show. Read it here. Shooting for Uzi's Party has wrapped; we finished recording at 10pm the night before Jojo's return flight to California, for which we arose at 5am. About two thirds of the footage has returned from the laboratory, and it's stunning. Once I have my complete work print, I'll make a digital transfer and begin editing. Look forward to some stills and maybe a teaser edit soon.